The Sink or Swim seem to be on ever ascending arc since they appeared on the scene early last year. In 2016 they put out two flawless EPs, which find people still debating over which was better. This year they’ve been working hard on new recordings with newest member Derek Rossman joining the original core trio of Nate Zeune, Louis Resnick and Niel Erlich. 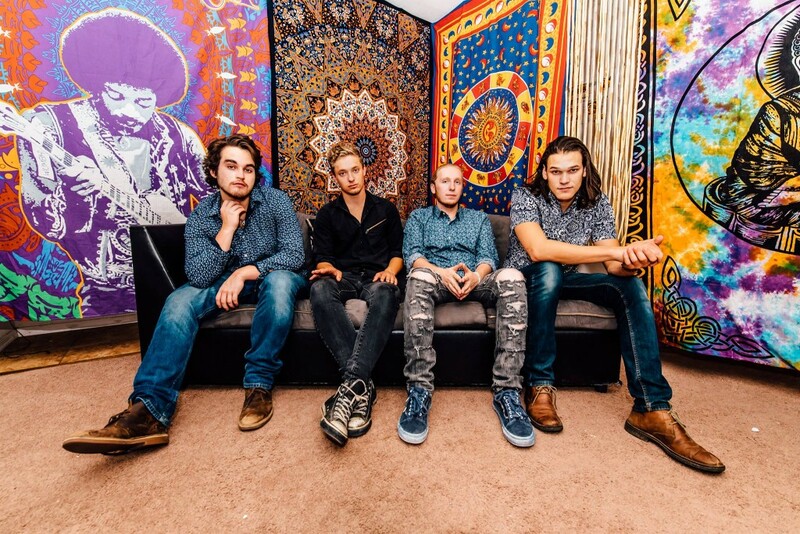 “Arizona” was the first of two single leading up to a brand new EP, a slightly different mid-tempo number which was no less hook heavy than the upbeat fare they’ve offered so far in their catalog. One song has been in their live set for so long without release it’s been driving me slightly mad or completely crazy, because it is a complete earworm. There’s nearly nothing worse than hearing a catchy song at a show and not being able to listen to it a hundred more times when you get home. You want to play it until you hate it, essentially. That song is “Dopamine” and the boys in the band just dropped it today. Of note, neither “Arizona” nor “Dopamine” will be on the forthcoming Oasis Unknown EP, they are singles made as promotional promises to their fans and to those contributing to their campaign on Pledge Music. The song was transformed slightly over time, but since it’s been in their live set it’s been one of their strongest songs to date. On record it starts with a swirling psychedelic intro that reduces to a bass groove from hell and isolated vocals way up front in the mix. The first minute of the tune is pop seduction, sparing use of the drums and guitars until it explodes into the chorus. This is the chorus that will occupy your mind unexpectedly the next day, or upon waking, or as you find yourself screaming it in the street. If this were ever prepared for an acoustic or unplugged version, you could pare it down to simply Zeune and Erlich, but with Rossman and Resnick on board the last two minutes of the tune are transcendental. This may well be my favorite tune about a neurotransmitter since The Woodworks “Oxytocin.” Upon reflection there have been a lot of songs about neural chemicals over the last ten years of the music scene and this is one of the finest. You don’t have to take my word for it though, check out my favorite single from The Sink or Swim below.